Once you are faced with an accident that results in an injury, giant stacks of medical bills are sent your way, accompanied by emotional and physical pain. Injuries are certainly painful, both to yourself and your wallet, and they can cause lasting physical and emotional damage. If you have an injury as a result of another party, it is time to hire a personal injury attorney. However, a quick Google search for attorneys in your area may not always give you the best results. It is imperative to thoroughly research and hire a reputable and reliable attorney that will properly represent you and win your case. 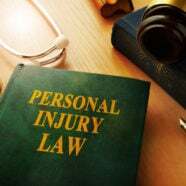 But what exactly are you looking for in a personal injury attorney? You wouldn’t go see a cardiologist for your child’s fever, so think the same way when it comes to law practice. Similar to doctors specializing in an area of medicine, lawyers practice in specific areas. If faced with an accident, you want to hire a lawyer specializing solely in personal injury. You don’t want the guy or girl who just does it all. You want an attorney on your team that has been involved in cases similar to yours for an extensive period of time. Be sure to ask your potential attorney important questions, including many years they have been practicing a certain area of law, if they have worked on cases similar to yours and what the outcomes were. It is important to always check an attorney’s disciplinary record to determine their standing. Simply go to the GA’s state bar website, https://www.gabar.org/membership/membersearch.cfm and do a quick search. Here you can see if a complaint has been filed against them and if the attorney has been suspended or disbarred. Hiring an attorney with a winning record seems obvious, but often times not all cases go to trial and they settle out of court. However, it is crucial to hire an attorney that is confident and comfortable in the court room. There is a reason some lawyers win and others lose. You want to hire an attorney that is not only confident in the courtroom, but also has a track record of wins. Interested in a winning personal injury attorney? If you are seeking an attorney for a personal injury case, we can help! Personal injury cases need to be handled delicately and by a professional, let the Law Offices of P. Kent Eichelzer III help you today. We have offices convenient to Woodstock, GA and Marietta, GA. Don’t wait another minute; contact us today to set up a free consultation.